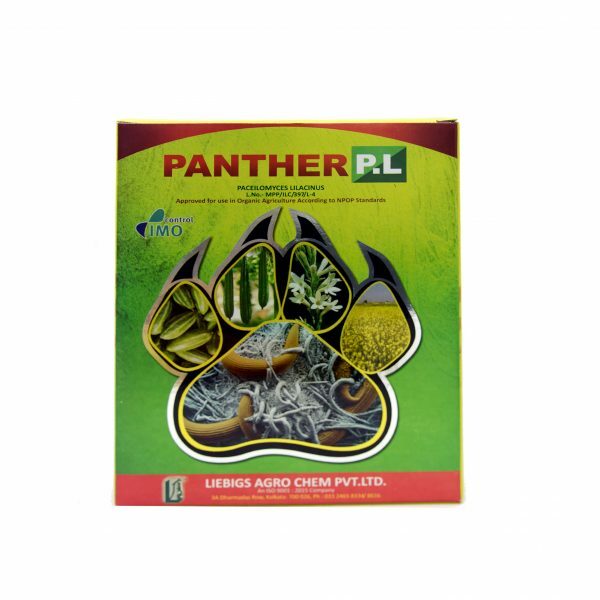 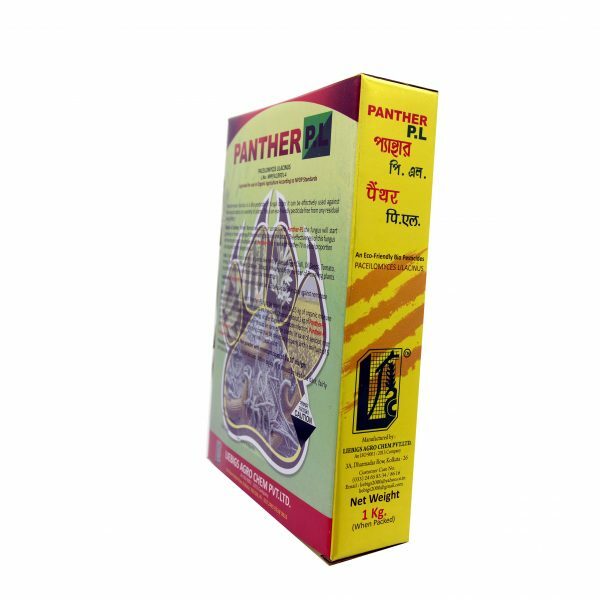 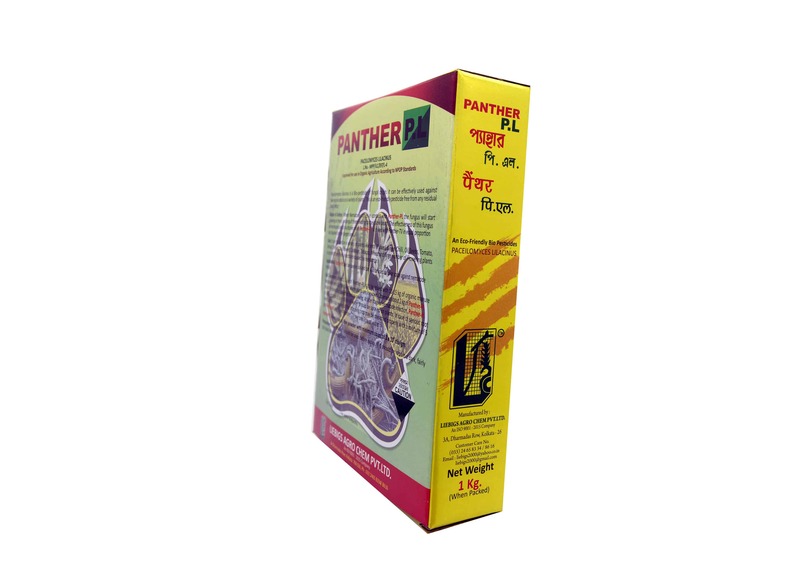 PANTHER – PL (Paecilomyces lilacinus) | Liebigs Agro Chem Pvt. 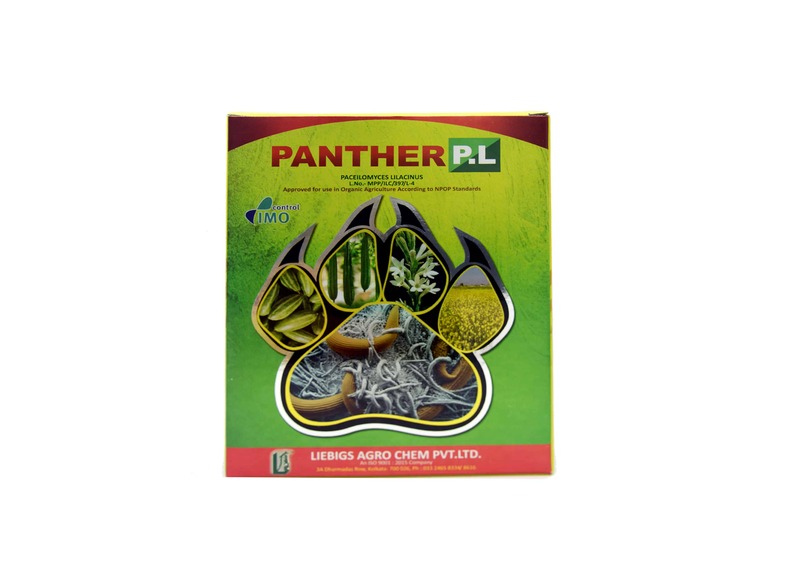 Ltd.
Paecilomyces lilacinus is a fungus which is used to control the infection caused by Nematodes in plants and termites in root zone. 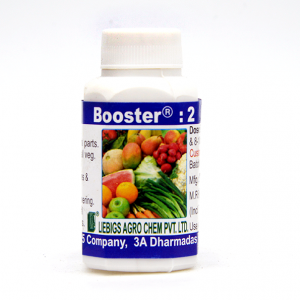 The attack results in reduction of the quality and quantity of crop yield. 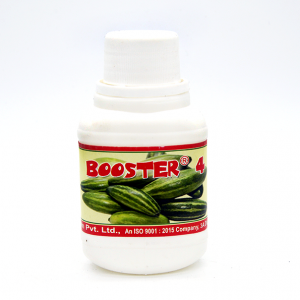 The symptoms of Nematode attack are commonly recognized in reduction of growth, increased wilting, mineral deficiency syndrome from root impairment. 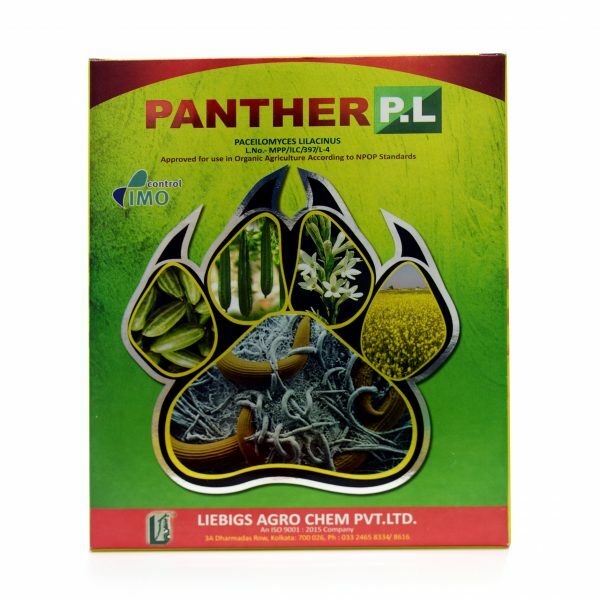 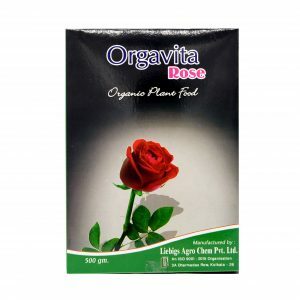 Used: It can be used on all food crops like cucumber, brinjal, pepper, tomatoes, cauliflower, pulses, peanuts, soybean, cotton, flowers etc. 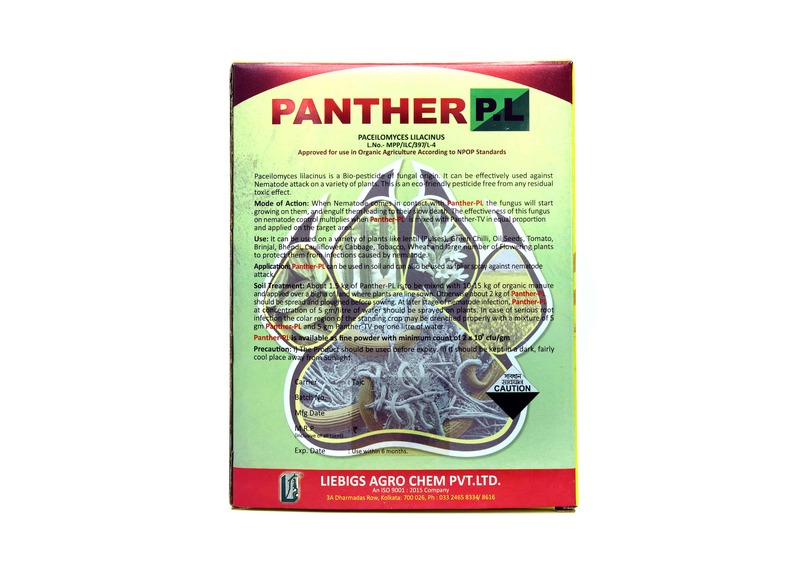 Application: Panther PL can be used in soil or as foliar spray to protect the plants from nematode infection. 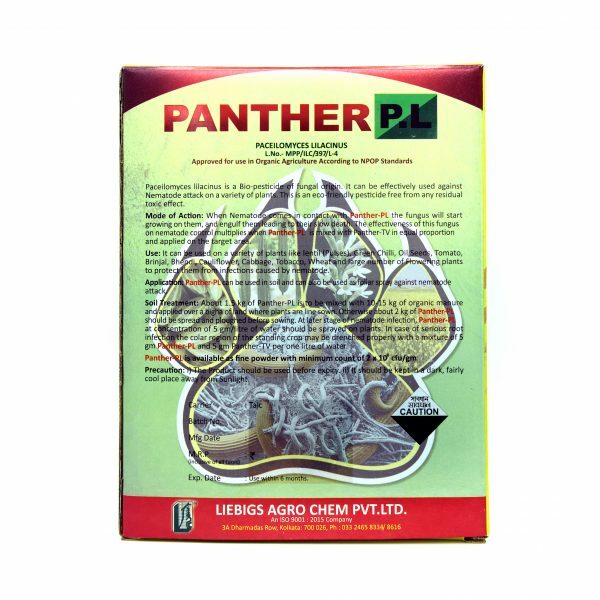 Soil treatment: About 4 kg of Panther PL is mixed with 10-15 kg dry soil and applied in one acre during final land preparation. 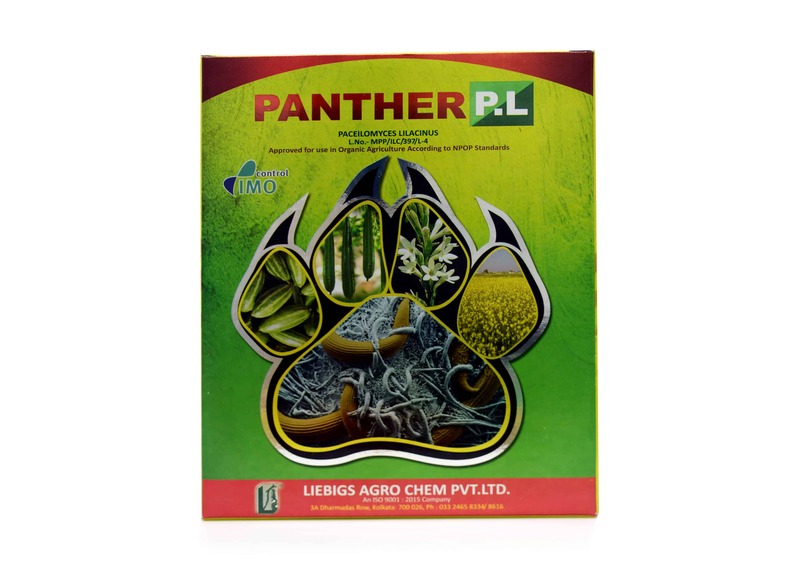 On standing crop, soil may be drenched with a mixture containg 5 gm Panther PL per litre of water.